One of the challenges of traveling with a child with autism is their need for structure and routine. Changing their schedule can set off a giant tantrum. Therefore, it is important that you prepare them for the trip as soon as you begin planning it. Consider using pictures to show your child what the trip will look like; for example, if you are flying, show them a picture of an airplane and explain everything you can about air travel. Make sure to discuss your trip regularly so your child is fully aware of exactly when it is happening and what they can expect. You may consider hanging a monthly calendar on the wall, and checking off each day as a countdown to your trip. You may also want to take a day trip before your vacation so you can have a gauge on what specific challenges you may face. There are certain steps you can take to prepare the environment for your child. For example, if you are staying at a hotel, call ahead of time and explain that your child has special needs and you require a quiet room. If you are flying, also call the airline ahead of time; some airlines offer special needs assistance, and if they are aware of your child’s specific behaviors, it may be easier for them to accommodate you. If you are taking a long road trip, prepare the car with a lot of entertainment options for your child. You may consider buying new, inexpensive toys, and bringing a portable DVD player. Additionally, you may choose to time your trip so that your child sleeps through most of it; for example, you could drive through the night instead of during the day, or begin your trip very early in the morning. 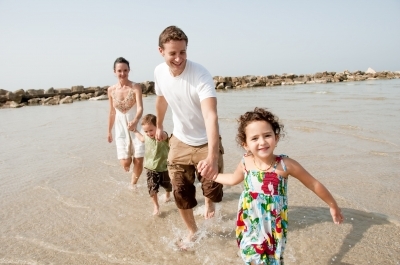 If you have never traveled with your child, it is understandable if you feel anxious about it. You may be running through every worst case scenario in your head. However, your attitude will have a major impact on the success of your vacation. If you are stressed out and high strung the whole time, no one will have fun. Prepare for your vacation to the best of your ability, then let it go and have a good time with your family. If you have done everything in your power to anticipate your child’s needs, the rest of the vacation is out of your control. Relax and enjoy yourself. Traveling with a child with autism isn’t always easy, but there are steps you can take to make it more manageable. For more autism resources, read more from Normal Life Inc. here.